The Obsidian varietal grows on trailing vines and ripens early in the season. These berries have a beautiful glossy finish and dark black coloring. They are large, with small to medium seeds and medium acidity. This sweet berry is excellent for jamming. 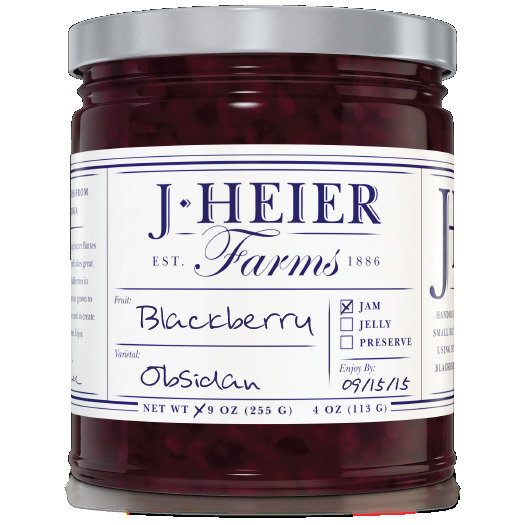 Obsidian blackberries, pure cane sugar, and pure lemon juice.